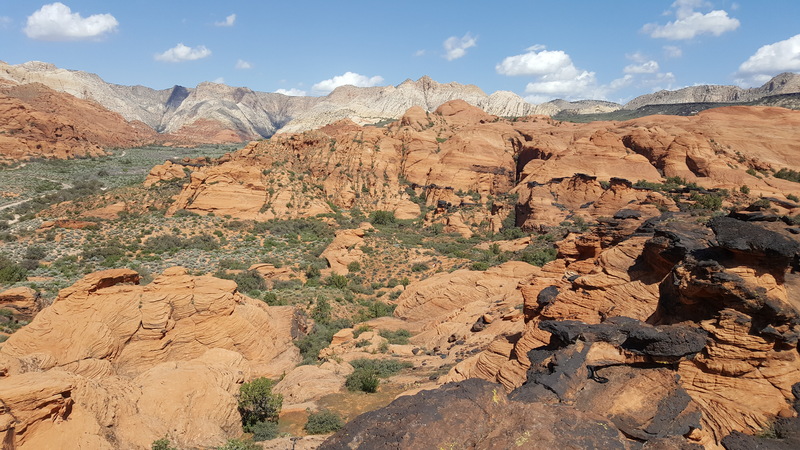 Living in Utah, I have come to love what we call “red rock country.” Bizarre twisted shapes dominate canyon landscapes, in every hue of red and orange, remnants of ancient tectonic upheavals and eons of erosion. On the trails winding through these hills I have found inspiration and wonderment, pondering the forces of creation and nature. I have held my young children’s hands as we scrambled over boulders and up screes. 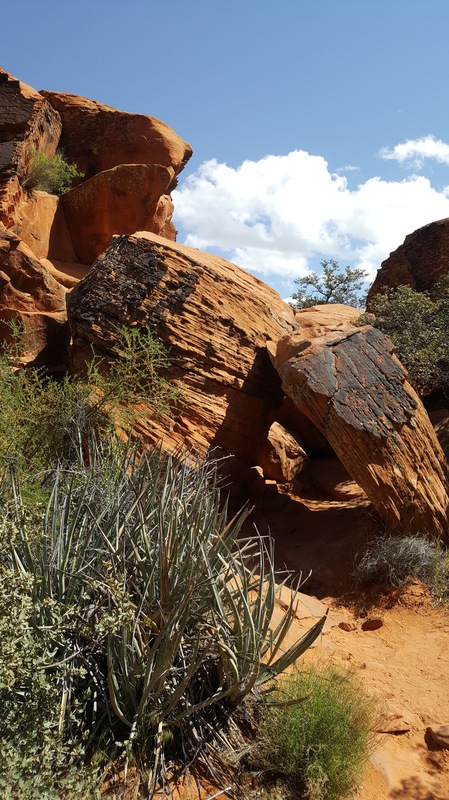 We have marveled at the prickly-pear’s crimson bloom and the aromatic sagebrush. We have laughed at the lizards and cottontails scurrying for cover beneath black brush and Mormon tea. All, the stuff of awe and sweet memory. 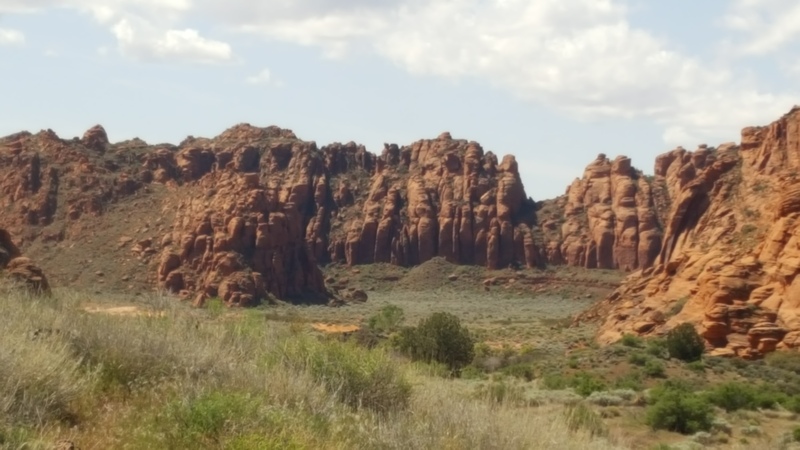 In this poem I look back at an early red-rock-country explorer on horseback. Enjoy the trail. 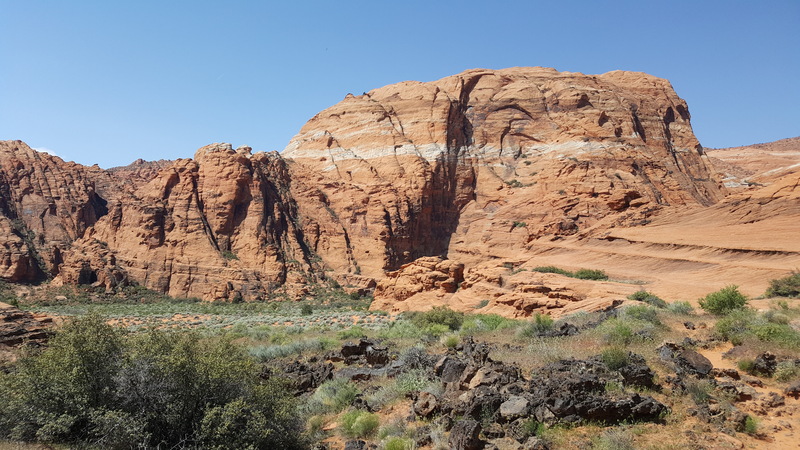 This entry was posted in Conservation, Environment, Family, Memoir, Nature, Poetry and tagged Hiking, Poem, Red rock country on May 7, 2017 by Roger Baker-Utah. Your poetry and pictures brought up strong nostalgic memories of 10 years of living off the grid at Elephant Butte. If only you could have come and stayed with us then too, you would have had enough “ammunition” to compose enough poetry and photographs to fill many pages and then some! Maybe we can go back on your next trip down here. It is a beautiful place…Very wild! 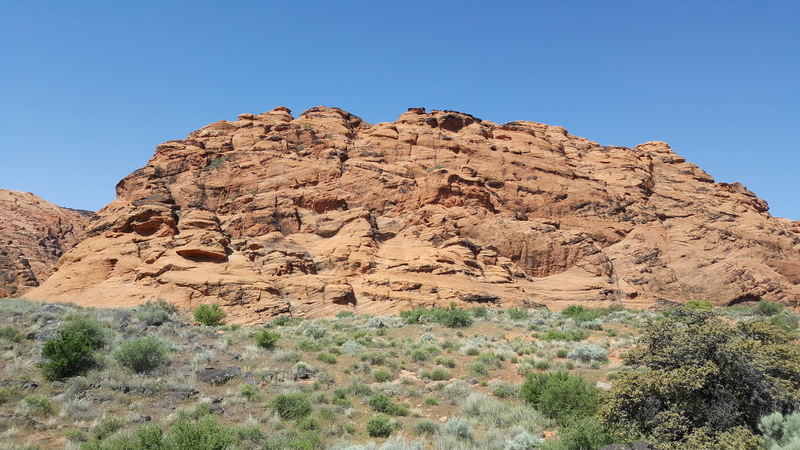 I recently rode my mountain bike for about 14 miles in this canyon. Such a pretty place. It possesses a natural power. Just being there is a privilege.